Remember Dipstock? Yea, it’s been almost a month ago and I just now realized I made a horrendous oversight. 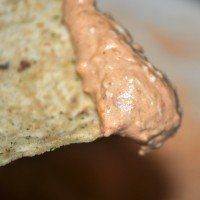 One of Dipstock’s most active participants, Cris Goode, made a dip for Dipstock and I didn’t feature it here as promised. Maybe you recall Cris from Halloween Dipstock. She made FOUR dips then, including a zesty bacon spread. If you haven’t checked out Cris’ site, you should. 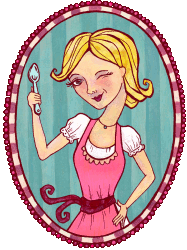 She features recipes from the Gooseberry Patch cookbook plus a lot of other fab topics. Instructions: 1. Mix ingredients together. (Heat for 20 seconds in microwave if needed) until smooth. 2. Serve with tortillia chips. This really does sound crazy delicious!! Wow that was easy and it looks so delicious. Perfect for a quick side with chips! This is my kind of dip! Quick and easy. I’m definitely going to try it soon.